Part 1 : Fabulous Food Discovery in Sungei Wang Plaza! How many of you never been in Sungei Wang Plaza? Never heard of Sungei Wang Plaza? I wonder where you live..hihi.. Sungei Wang Plaza has been in almost 30 years.. and during my teenage time, me and my friends always love to hang out here.. "Wei, Jom lepak BB"..Yup, Sungei Wang situated at the Bukit Bintang and if you take the monorail the stop will be at the Bukit Bintang station. Bustling over 40 food and beverages outlets under 1 roof, Sungei Wang Plaza offers you the top notch local and international cuisines. Be indulged with the variety of selections ranging from local to international cuisines. Ms. Yuen May Chee, Complex Manager of Sungei Wang Plaza said it is always great to find eateries at an affordable price that we wouldn't have expected especially in the heart of city. "In this food trail,you can expect to discover the hidden culinary treasure, new creations and new dining outlets in the mall. People are looking for not only good food but also affordable one. With that in mind, Sungei Wang Plaza has decided to introduce the mall's best meals under RM10 to the locals and tourist out there." she added. For this first part of post I'll introduce you with the hot main courses in Sungei Wang Plaza. 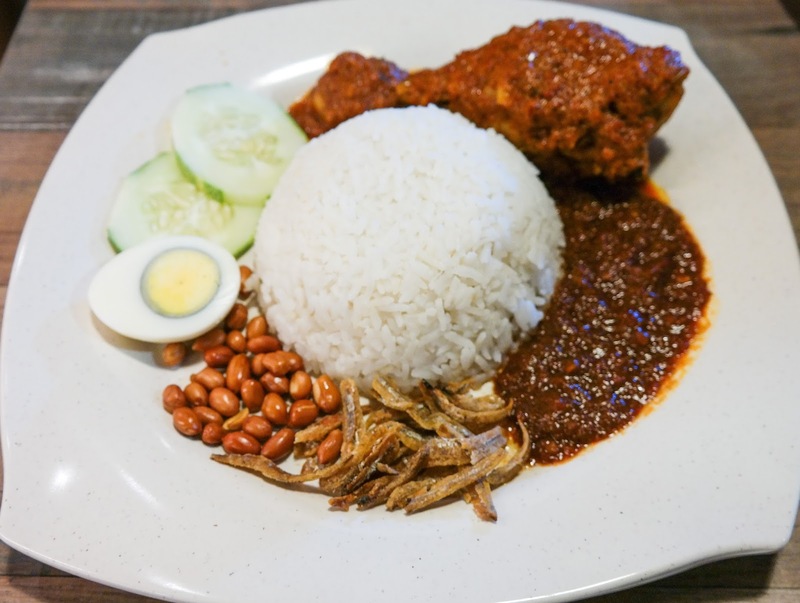 That great day started with a great big breakfast at the KopiClub, a must-visit restaurant in Sungei Wang Plaza that offers wide range of scrumptious local delicacies. 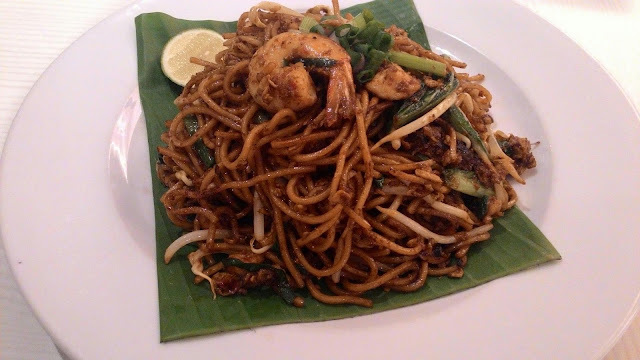 Their famous dishes include of Nasi Ayam Goreng Panas, Nasi Goreng Ayam Berempah and KopiClub Mee Goreng Mamak. This restaurant situated at the concourse level near at KFC. 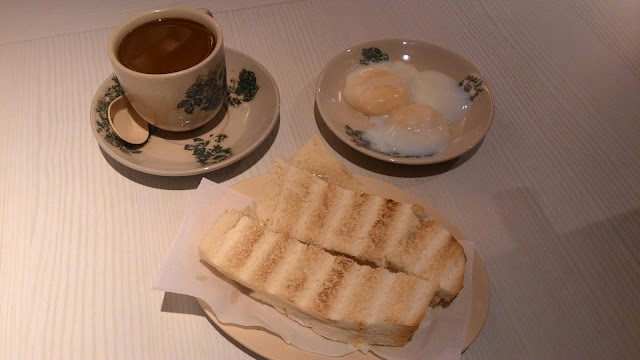 Kopi Club open as early as 9am and one of the favorite Malaysian breakfast is of cos the half boiled egg with kaya and butter toast also for me is a coffee. 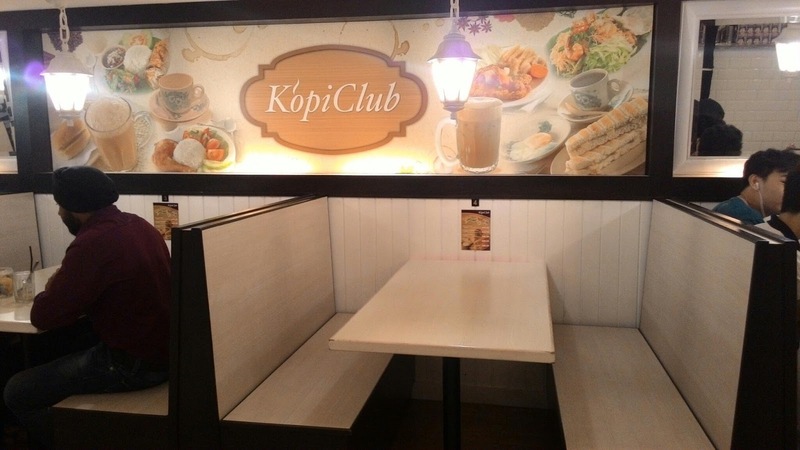 Kopi Club were famous with their Kopi Ping and Tea Ping. Being named as KopiClub, the coffee is a must try beverage here. We as the members of media were treated the wide range of coffees and were asked to guess the different coffees type to win some shopping vouchers. 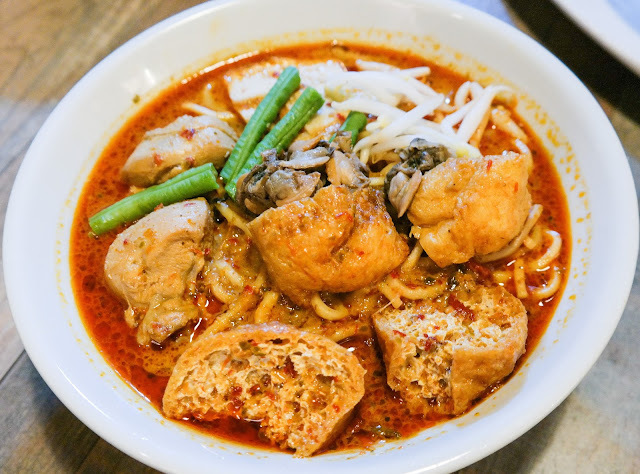 For those who always love to eat rice you can still enjoyed your favorite meal here in Ah Cheng Laksa. They served Nasi Lemak Rendang and the Rendang were so nice, all the spices were there and also they served Chicken Curry with plain rice. 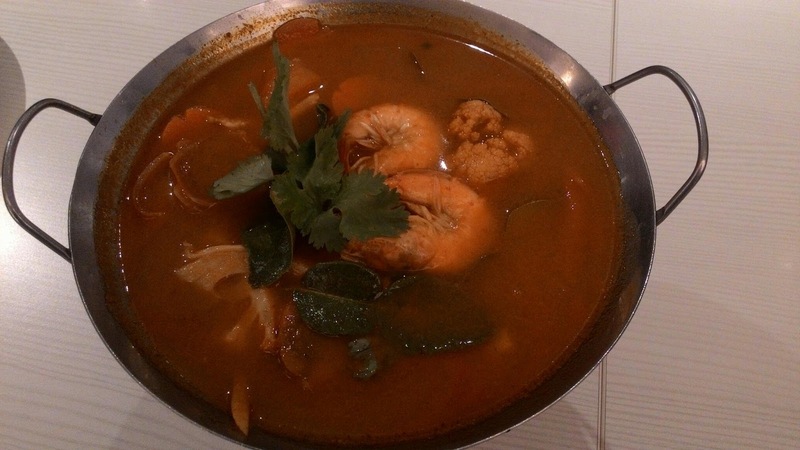 That is superhot Penang curry that you also should try. After the great experience at Ah Cheng Laksa, we were brought to ride a train in the mall. Everyone were so excited and we felt so childish riding it..hihi.. but it was fun! Happy me with happy tummy! How about discovering a street food in the mall? located on the Third Floor of Sungei Wang Plaza, a Food Truck Concept that consists of three food operators is the highlight of the food trail. 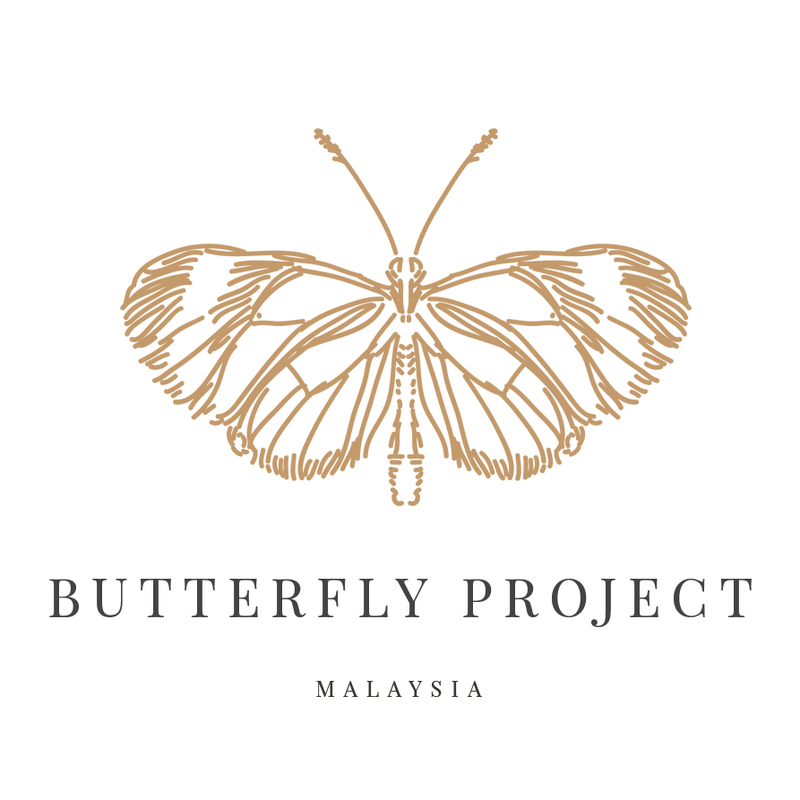 From local street food, Ayam Kunyit by Mat Rock to international street food, Thai Grilled Chicken by Thaisty, and Chezzy Beef Nachos by PastaLaPasta. Members of media were given the chance to discover the cheap eats with enticing taste of street food in an air-conditioning environment. The first vendor at the food truck is the Thaisty. 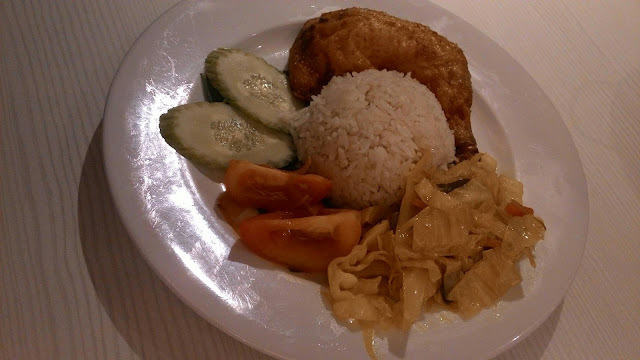 Thaisty served delicious Thailand food such as Grilled Chicken, Maggie Kerabu, and etc. The Maggi Kerabu is the authentic instant noodle brought to you all the way from the Southern Thailand. All this Thai food was so simple and the taste is nice with the dipping sauce. The second vendor at the food truck is Mat Rock Special Ayam Goreng Kunyit. They served a very simple menu a great price and taste. The chilli sauce/sambal is very hot and gave a great experience when you eat the food. This Ayam Goreng Kunyit also very famous here in Sungei Wang and during our visit, there are many customer queuing at their counter. Apart from selling pasta, they also sell Ayaq Botoi ( Bottle Drinks in Malay Northern Dialect) . The coffee and tea also taste great. It is a traditional Malaysian coffee. A few walks from the Food Truck, located the hidden gem of Sungei Wang-Vinh City. 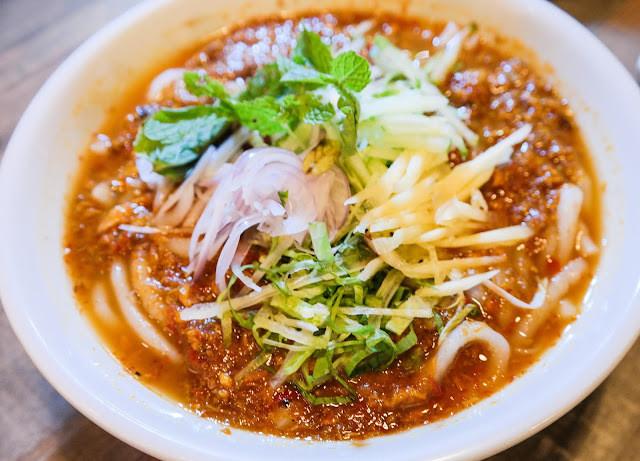 They are one of the best Vietnamese cuisine in the Klang Valley. 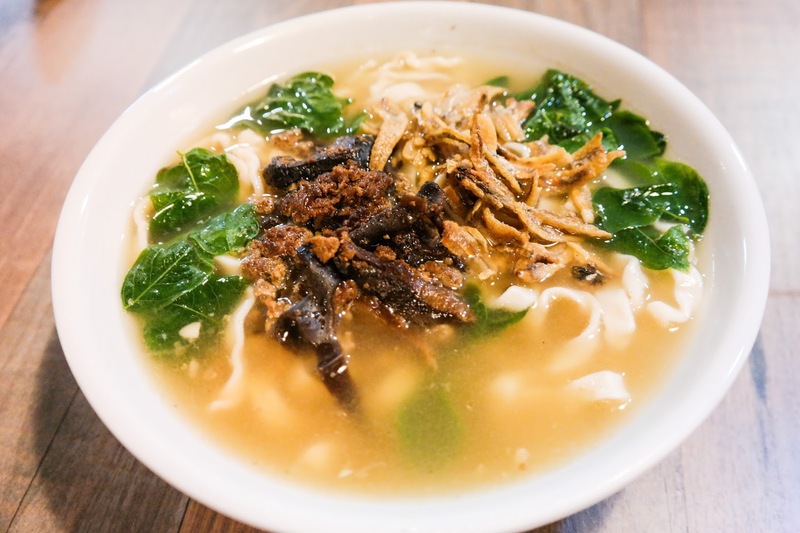 When we talk about Vietnamese cuisine, Beef Noodle Soup, Spring Roll and Vietnamese coffee, Cafe Da will come to mind. At this stop, media treated watch the making of Fresh Prawn Spring Roll demonstrated by the chef from Vinh City. For your information, this restaurant is a pork free restaurant but I do not recommended my Muslim friend to dine here cos it is doubtful but if you are not Muslim do come here cos all the food looks delicious. 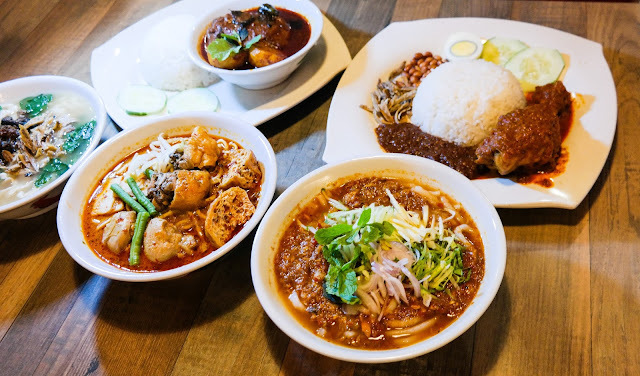 Last but not least, with its first outlet opened at Sungei Wang Plaza back in 2007, U-Cafe is a fusion cafe that blends all-encompasing popular Malaysia dishes, derived from the many ethnics and cultures in our country. 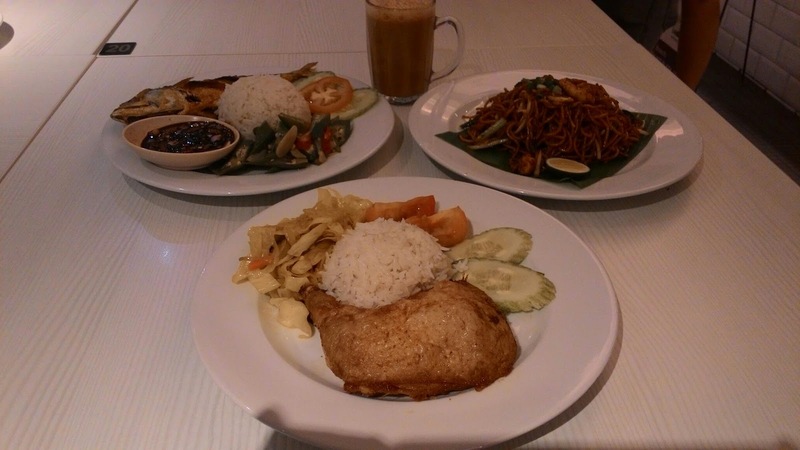 You will be spoilt for choice picking one of 37 choices from the Lunch Set menu at only RM14.75. Set lunch were consist of one main course + soup of the day + drink ! On that day we were served with Pineapple Seafood Fried Rice, Flying Fish with Rice, Stir Stewed Chicken with Three Cup Sauce, Chicken Chop with Black Pepper Sauce and also Fusion Kung Pao Chicken Spaghetti! All food was amazed! So the lunch set at U-Cafe will only be served during lunch hour of course, and the exact time is at 1130 until 1500 only! 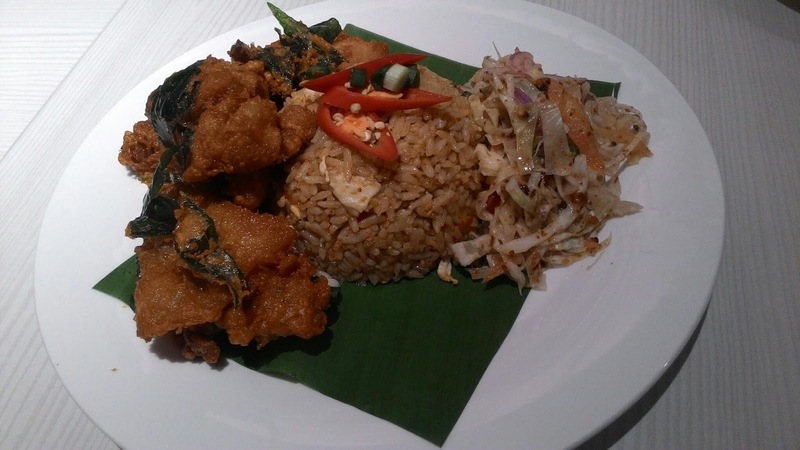 Do come during lunch hour and this restaurant is easily spotted from the sidewalk at the Bukit Bintang with a big U logo. Sungei Wang Plaza Facebook at www.facebook.com/sungeiwangplaza. For All Kinds of Everyhing! 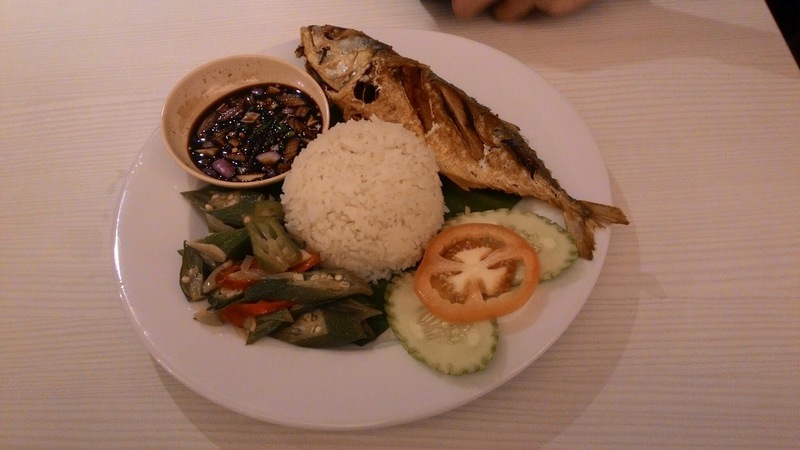 More about foods in Sungei Wang Plaza please click here! 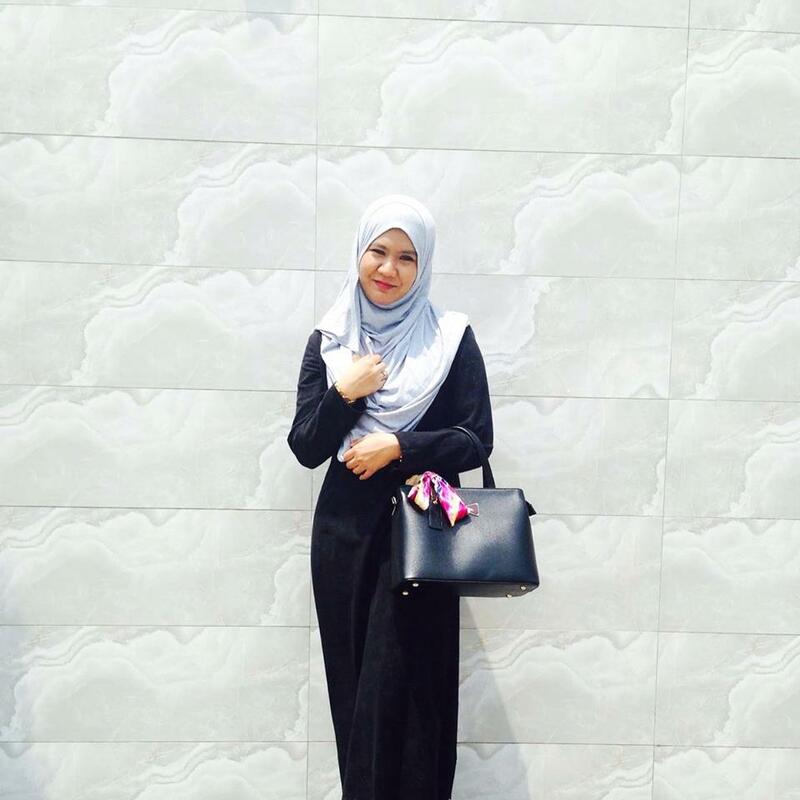 a'ah..mmg lejen rooftop tu..skang dah cantik kak ana..ade dtg x tengok?